IH exists thanks to a network of friends, all with amazing stories. These are rare and true testimonials related to the history of the Insubrica region. Today, we will write about Lilja Slutskaja (also sometimes written as Lilija Sluckaja). We can consider ourselves privileged to discuss this wonderful artist, and we would like to thank sincerely Ferri and his mother Eliette who are closely connected to Lilja. 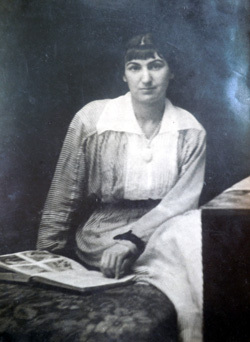 Lilja Slutskaja was born in Uzun-Ada in 1885, being the sister of Xenia (1888), Victor (Vitja) and Sasha. She was the second child of Elias Slutsky, who had Ukrainian origins, and was married to Tatiana. Lilja's family belonged to the middle-class. Her father, while being a trader in the cotton business, was also a pioneer in his soul, dreaming always to bring progress and change in the world. This fact could partially explain why the family lived a lot in remote places. In 1885, the family Slutskij arrived in Uzun-Ada, a Trans-Caspian Railway station, situated next to a sea-port built on the eastern shore of the Caspian Sea in the bay of Uzun-Ada of the Mikhailovsky Gulf in the Krasnovodsky district of the Trans-Caspian region of the Russian Empire. The construction of a bigger port in near-by Krasnovodsk along with the harsh meteorological conditions forced the family Slutsky to leave very soon Uzun-Ada. A long journey brought them further all over to modern Uzbekistan: in Katta-Kurga, Buchara (1889), Kokand, Samarkand (1904) and Tashkent (1908). During this adventure, two sisters Xenia (the grand-mother of Ferri and a close friend of IH in Ticino) as well as Lilja managed to attend successfully a college in Odessa. In 1910, two brothers, Vitja and Sasha, entered the Engineering Polytechnic School in Munich in Germany; therefore, the family left the Russian Empire for good. From 1910 to 1914, Lilja attended the Art Academy of Monaco. From 1914, she completed her studies at the Zurich Academy of Fine Arts (German: Kunstgewerbeschule); later, in 1916, she moved to Geneva, then to Lausanne, working for a small craft-work store till 1918. During these years, she had contacts with Aleksej von Jawlenskij (1864-1941) who became in 1914 a resident in Switzerland and portrayed her in 1918 in his works called Mystischer Kopf (in English: mystic head). Lilja was a friend of Marianne Werefkina (1860-1938) too, a famous abstract artist of Russian origins who lived in the Canton Ticino. Werefkina's paintings are exhibited to the public in the Art Museum in Ascona. Lilja made her debut in the Italian artistic world in 1920 at the Twelfth Venice Biennale, where she exhibited, together with Alexander Archipenko (1887-1964), Wassily Kandinsky (1866-1944) and Jawlensky (1864-1941), her beautiful watercolor paintings. On this occasion, the critic Francesco Sapori defined her as "a strong watercolorist". In 1920, she resided in Ascona in the Canton Ticino and in 1923 moved to the nearby city of Locarno at the Hotel Metropole, formerly the Hotel della Corona, situated at the Piazza Grande. 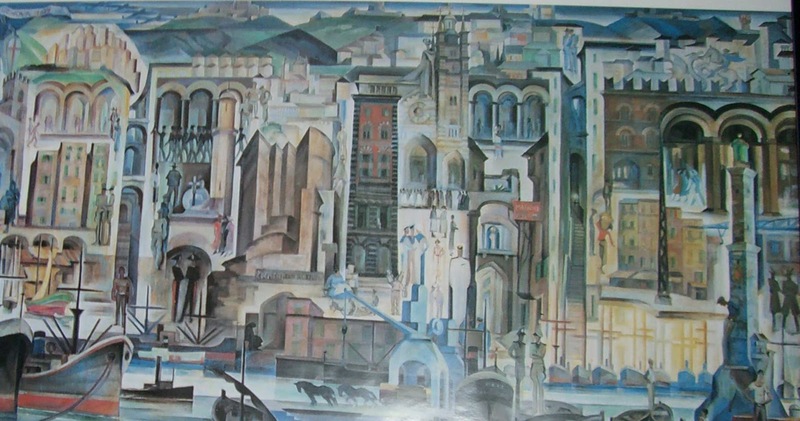 Despite living in Switzerland, she didn't stop working in Italy: in 1923 she exhibited her works such as two interiors, two illustrations for a novel written by Andersen, and an illustration for a Russian novel, at the First International Watercolor Exhibition for the Society of Fine Arts and Exposition Permanent of Milan. Lilja's works were presented in the Russian section of the first and second edition of the International Exhibition of Decorative Arts at the Villa Reale in Monza (1923, 1925). She settled permanently in Italy in 1933, first in Genoa and then in Milan, in Via Monte di Pietà, not far away from the artistic thriving place of Brera. 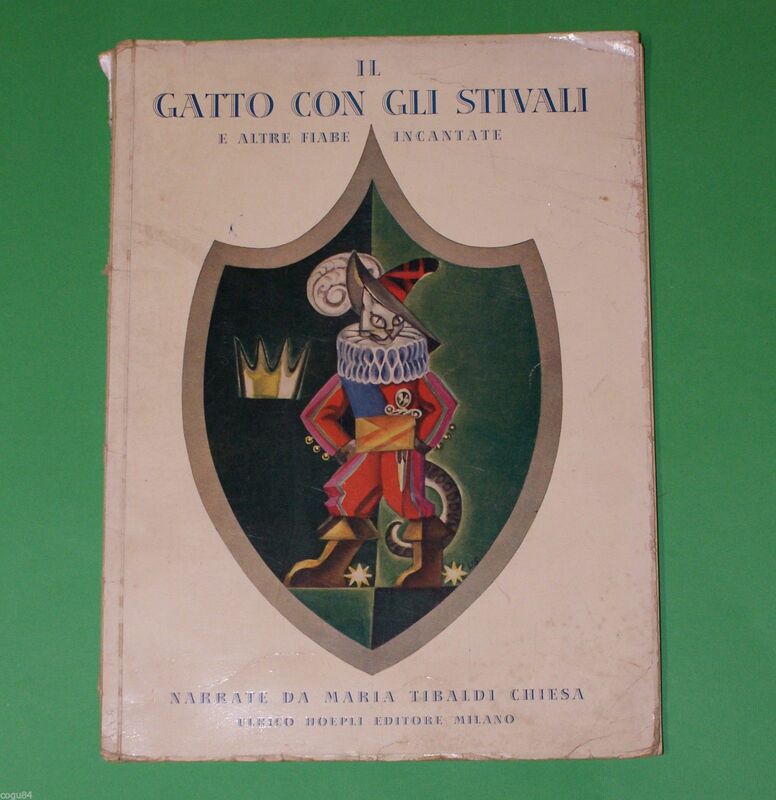 She actively participated in the Italian cultural life, establishing contacts with important artistic institutions. In particular, in 1933, she exhibited paintings, drawings and watercolors at the Genoa Naval League Exhibition. 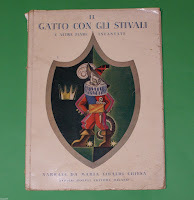 In 1933 she exhibited at the Promoter of Fine Arts in Genoa and was present in 1937 at the Permanent of Milan; on the occasion of the Second National Association of "Mostra Nazionale Fascista Donne artiste e laureate", Lilja showed 2 canvasses in black and white and original illustrations for children's books. In November-December 1939, she became a member of the autumn social exhibition alla Permanente. The same year, she exhibited, in Genoa at the "Società delle Belle Arti", a painting showing the dismantlement of an old ship. In addition to participating in art exhibitions, she collaborated with some publishers, notably the Swiss Hoepli, Igis, Mondadori, and took care of illustrations in various periodicals such as "Il Giornalino della Domenica", "La lettura", "Il Corriere dei piccoli". In 1938 she felt a wind social change related to the rising fascism in Italy. Consequently, Lilja decided to get baptised renouncing to her Jewish religion. She died in Milan on June 5, 1940. Many of her Russian friends gathered at her funerals, among them there were two nieces of Marianne Werekfina who sang for her for a last time with their beautiful voices. 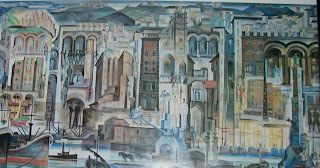 The painting "Sintesi di Genova" (1934) can be seen at the Galleria d'Arte Moderna in Genoa, but it is not included in the permanent exhibition. It is very interesting to go and pay a visit to the Marianne Werefkina Museum in Ascona, situated on Lake Maggiore.